Chanderi, the saree of the royalty, is made from a pure cotton and silk. The chanderi fabric is produced by weaving silk and also golden zari in the conventional cotton yarn which leads to the creation of its shimmering texture. The fabric has derived its name from a small town in Madhya Pradesh called Chanderi. Here the traditional weavers produced these gorgeous sarees in silk and cotton by decorating it with some zari work. You can easily get these royal looking sarees at Craftsvilla and upgrade your wardrobe. Chanderi sarees have become one of the most loved sarees because the traditional fabric is lightweight which makes it easy to drape. It has a luxurious feel and is highly comfortable, making these sarees well suited for summer as well as winter. The saree fabric keeps the heat off and sarees that have cotton fabric are good for summer. The length of the sarees in our collection is long enough to suit every figure with the appropriate number of pleats, making you look elegant no matter what your body structure is. 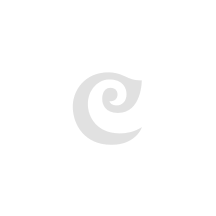 We, at Craftsvilla, offer you hundreds of varieties of Chanderi sarees. You get different patterns such as plain or with borders and stripes and our sarees are woven well in both silk and cotton. You will also get the unconventional Chanderi cotton sarees like the ones with designs and motifs of butis and floral pattern on the border of the saree, as well as those with the general floral motif in the saree's body. These sarees are available in a varying range of colours. Starting from elegant looking white to gorgeous maroon, you will get them all. Check out our entire range of sarees today and take your pick. Buy one of these designer sarees and look like a queen. 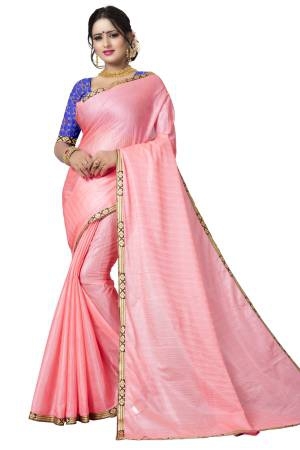 These sarees are highly sophisticated; and wearing them, you will feel like a celebrity. They give a glamorous look to the wearer, which is perfect for weddings and parties. Wear a Chanderi silk saree and complement it with intricate pieces of jewellery to highlight the shimmering beauty of the saree. With the advent of the Internet, it has become easier to get your favourite Chanderi saree online. Craftsvilla has the finest collection of Chanderi work and you can easily choose the one that will be perfect for every occasion. So, take your pick now and add a Chanderi saree to your collection of traditional sarees.